Use a UV light to look at fluorescent pens, toys etc. Some rocks are also fluorescent. When you shine light on these items they glow. The UV light gives fluorescent molecules extra energy. They release this energy again as light. (Older students: discuss how electrons move to a different energy level when excited by the UV light, then release photons of a different colour light as they return to unexcited state). 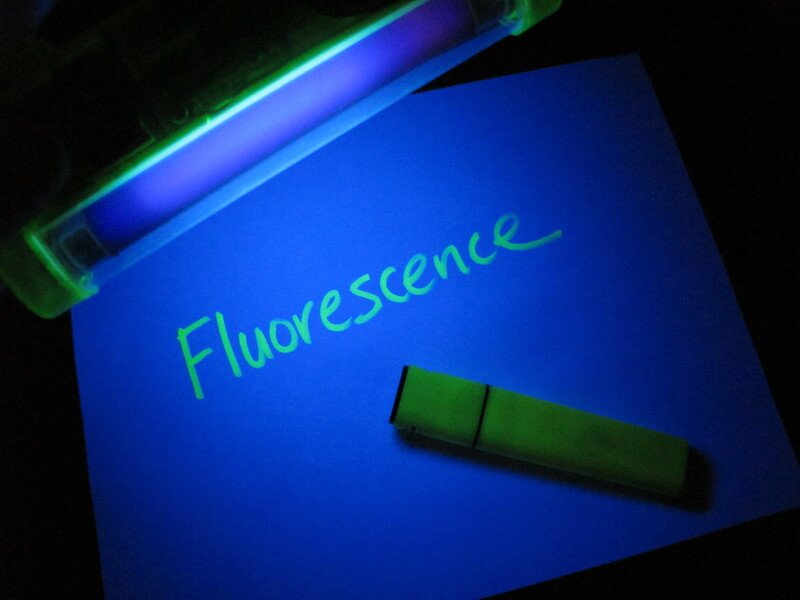 Fluorescent markers only glow when the UV light hits them - the fluorescent molecules release the light energy right away. Glow in the dark object release light after the UV light is taken away - the "phosphorescent" molecules in them release light slowly. Some rocks are fluorescent. 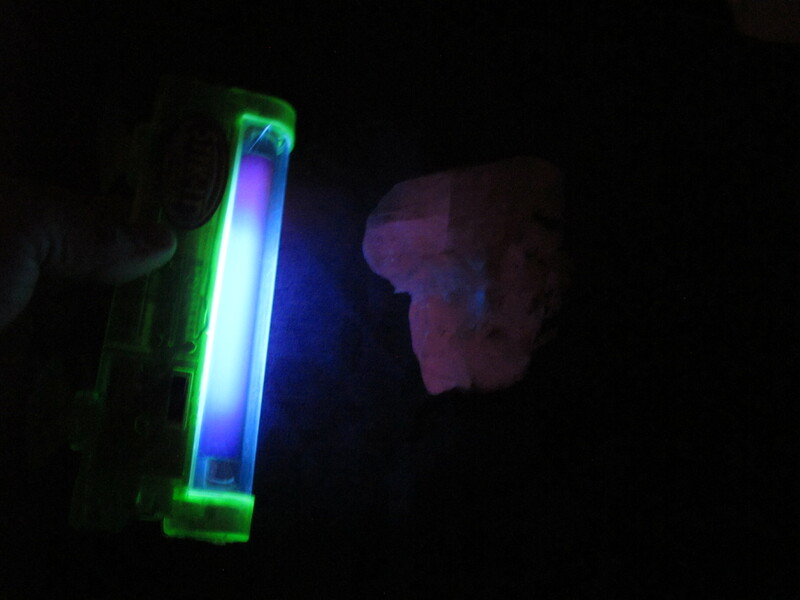 See photo of calcite fluorescing pink.